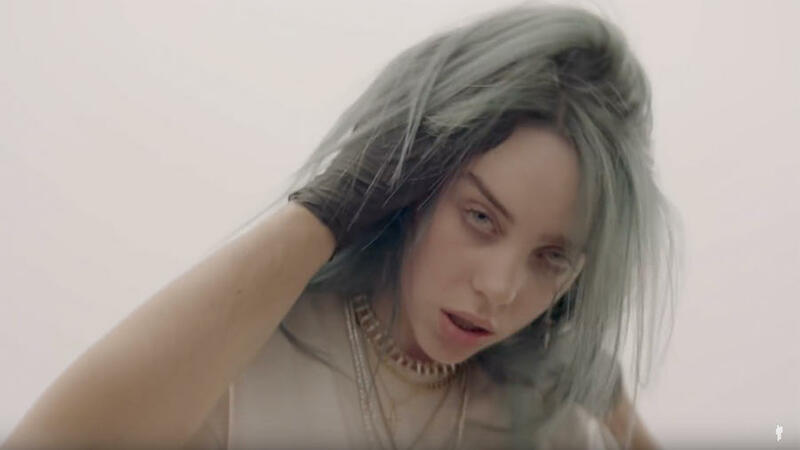 You are at:Home»Records»Albums»Review: Billie Eilish – WHEN WE ALL FALL ASLEEP, WHERE DO WE GO? WHEN WE ALL FALL ASLEEP, WHERE DO WE GO? redefines the pop genre in a darker tone, but one that is incredibly relevant to the modern digital generation and puts into words the internal conflicts facing young people today. Going to house parties, revising for my A-levels, working in retail to have enough money to go out with my mates. These were the things I was doing at the age of 17. Releasing new music, becoming one of the biggest names in music and redefining the pop genre – this is what Billie Eilish is doing at age 17. (Which makes my teenage years sound like I was a bit of a dissapointment – sorry Mum!). Eilish has been making music since the age of 14, and has finally released her debut emo pop album, WHEN WE ALL FALL ASLEEP, WHERE DO WE GO? So let’s drift of to Eilish’s depressing dreamland and look at what the album is all about. Let’s start of with the strangely upbeat bassy track ‘bad guy’, one that Eilish has mentioned is one of her personal highlights from the album. Focusing around taunting a past lover, the track is lyrically amazing (in the words of many of the people here at The Edge, an absolute mood) with the lines “Make your mama sad type / Make your girlfriend mad type / Might seduce your dad type / I’m the bad guy, Duh” standing out as a personal favourite. Eilish is not afraid to portray herself as the villain in the story, flipping what would usually be expected from an anti-romance anthem, even referencing that she enjoys being a homewrecker: “I guess I’m pretty glad that you’re alone / You said she’s scared of me? / I mean, I don’t see what she sees / But maybe it’s ’cause I’m wearing your cologne”. Next up, is ‘xanny’, a complete change of pace, with a slow, distorted mumbling vocal that legitimately made me think my headphones were broken. Speaking of broken, the track is about how drugs have broken our generation, hence the title referencing Xanax. The tone of the track is paced right for the lyrics, acting as a reality check instead of glamourising anything. Eilish talks about being the only sober one there (“I’m in their second hand smoke / Still just drinking canned Coke / I don’t need a Xanny to feel better”), and it’s a chilling commentary on Gen Z. A modern anti-romance bop, ‘wish you were gay’ is a confusing one to get your head around. The pacing works really well, with its punchy production punctuating the track, and the lyrics fill the track nicely. The content, is Eilish trying to justify being rejected, helped by the lyric “Our conversation’s all in blue, 11 ‘heys'” – this in reference to messages on iMessage from the sender being blue, referencing the one-sided nature of the affection. She comments oh how she wishes that his lack of romantic attention is out of her control, such as she is “not your preferred sexual orientation”, rather than the fault laying with how she wasn’t good enough. In an unlikely turn of events for Eilish’s depressing tracks, this one does have a happy ending, as her theory turned out to be true, and shortly after releasing the track as a single, the guy in question did come out as gay, which is at least some consolidation for the internal struggle of Eilish’s futility in trying to capture his attention. ‘bury a friend’ is the track that gives us the album’s title, extenstentially questioning whether it is actually ourselves which are the monsters under our bed, haunting our darkest nightmares due to our own doubts and personal monsters. Much of the track is in the voice of her inner demons “I wanna end me” and the internal struggle and how numb young people can appear to the world, yet screaming inside; a bold statement on mental health. A major condition touched on by the track is sleep paralysis, and how helpless you feel during an episode: “My limbs all froze and my eyes won’t close”. This conflict about being petrified of your own personal monster under your bed and trying to escape is the carrying theme of the track which is shadowed by an eerie backing which uses sudden pauses and tempo changes to add suspense to the lyrics. As debut albums go, there is a clear point of view. Eilish has a distinct sound, with tracks which cover things that would scare away other artists. My only concern is, with such a recognisable audio fingerprint to her work, can she diversify with her later pieces? Only time will tell, but right now, I’m gonna listen to WHEN WE ALL FALL ASLEEP, WHERE DO WE GO? again and have a cry. WHEN WE ALL FALL ASLEEP, WHERE DO WE GO? is available now via Interscope records.